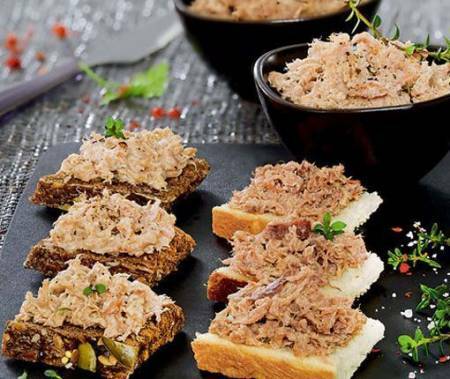 These pork rillettes are tender and smooth without being too fatty. 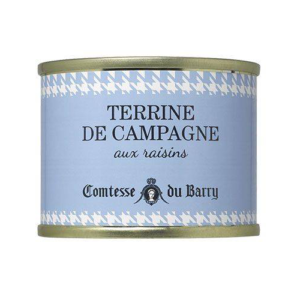 At Comtesse du Barry they are still pulled by hand. 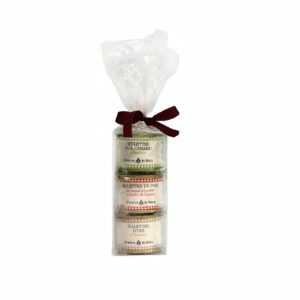 The taste is enhanced by Espelette pepper and Bayonne ham. 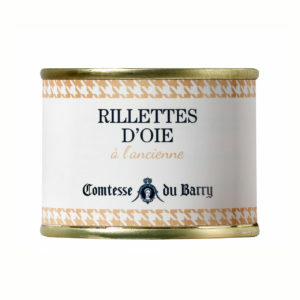 These rillettes are ideal for your cocktails with family or friends on toast. Place the jar in the fridge 24 hours before serving. 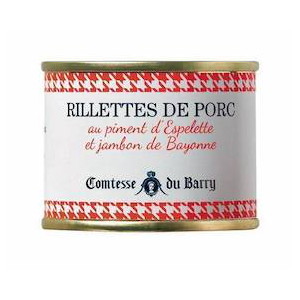 To reveal the full flavour of your rillettes we recommend you stir them lightly before serving. 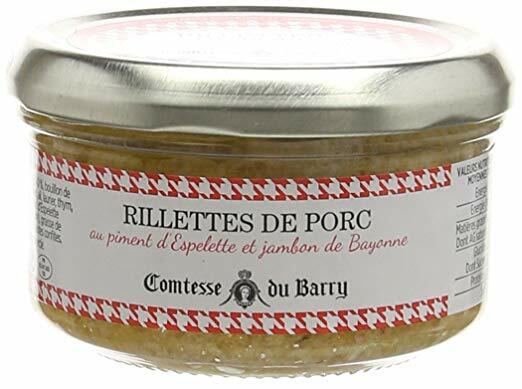 These pork rillettes are tender and smooth without being too fatty. At Comtesse du Barry they are still pulled by hand. The pork is cooked slowly in a rich broth of vegetables: onions, carrots, leeks, celery, garlic and herbs such as bay leaf, thyme, cloves, pepper, nutmeg and sea salt. 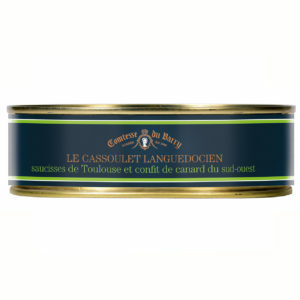 The taste is enhanced by Espelette pepper and Bayonne ham. Pork (France) 40% broth (onion, carrot, leek, celery, garlic, bay leaf, thyme, cloves, sea salt, Espelette AOC 0.1%, paprika, black pepper, nutmeg) , duck fat, 10% Bayonne ham, candied shallots.